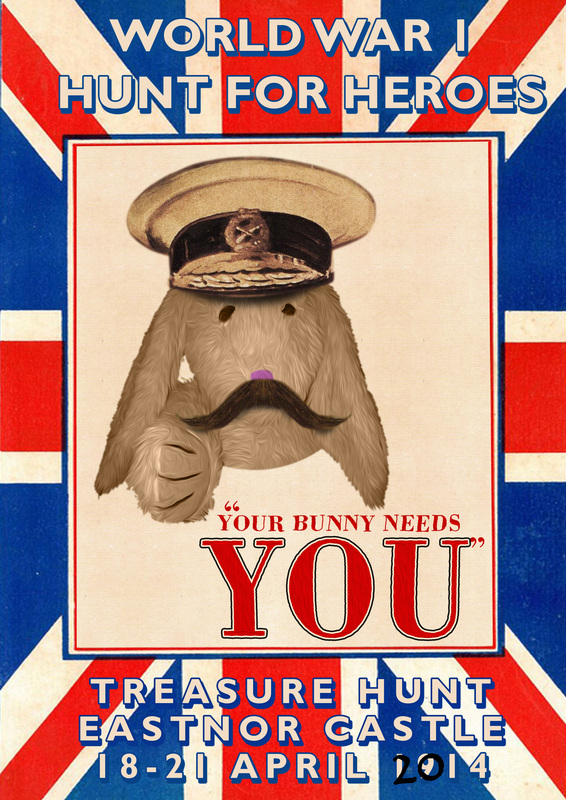 Easter Hunt for Heroes – We Need You! 2014 marks the centenary anniversary of the First World War and to commemorate the heroes, we invite you to take part in our Hunt for Heroes. Search for the brave bunnies around the castle and grounds, solve the clues and you may be a lucky winner of a giant chocolate egg! Everyone who joins in the fun will receive an Easter treat. The first place that people look for what’s on will be Google. Get a dedicated page on your website featuring plenty of all the key words that your target audience will be looking for i.e. family, berkshire, bank holiday. Google needs about 6 weeks to register your entry for it to show in listings. Search for local what’s on guides online. Almost all of them are free and desperate for more entries. Compile the details beforehand so you can easily copy and paste them quickly into the guides. The fields you will most likely be asked for: Event Name, Event Description, Venue, Opening Times, Prices, Contact Information, County, Start Date, End Date, Website, Ticketing URL, Contact Email. The local rags love treasure hunts, so prepare a Press Release. You need a story, so if you were using Treasure Hunt Design for example, you could say “We saw an opportunity and called in the treasure hunt experts from Channel 4’s Country House Rescue to see what they could do for us…” To find the local news people, Google something like “cumbria local media contacts”. If you can’t find the personal email address of the relevant person then try news@ or newsdesk@. If you can get a sign in a prominent position a fews weeks beforehand locally then it is a great and cheap way to plant the idea in the minds of passers by. To obtain consent to put up an advertisement or sign you may need to apply to the planning authority for the area where it will be displayed. Click here to read the rules. Most planning authorities provide a standard application form, which you can obtain from the local Council’s Planning Department. Electronic standard application forms are available from the Planning Portal via the following link: www.planningportal.gov.uk. In addition to the completed application form, illustrative plans and drawings are required; and you will have to pay the appropriate charge for the advertisement application. The tariff of charges is related to the type of advertisement involved in the application, and the amounts are reviewed annually. Information about current charges is given on the application form, or can be obtained from the Planning Department’s area ofﬁce. In all areas there are organisations set up to promote local tourism. There might be a nominal fee to join, but you would benefit from piggy-backing a large existing distribution network to get the word out about your event. Leaflets and posters certainly help to promote the event. Bear in mind that the majority of dispensers in the UK take 1/3rd A4, and if you can squeeze a corner of the local shop window and noticeboard the poster would ideally be A4. Target places that will be interested in your event. i.e. if it is going to be an Orienteering Treasure Hunt let the local scout/guides groups, orienteering clubs and local schools know. The very first thing to do is estimate how many people you think will attend your treasure hunt event. The rest of your decisions depend on this figure. 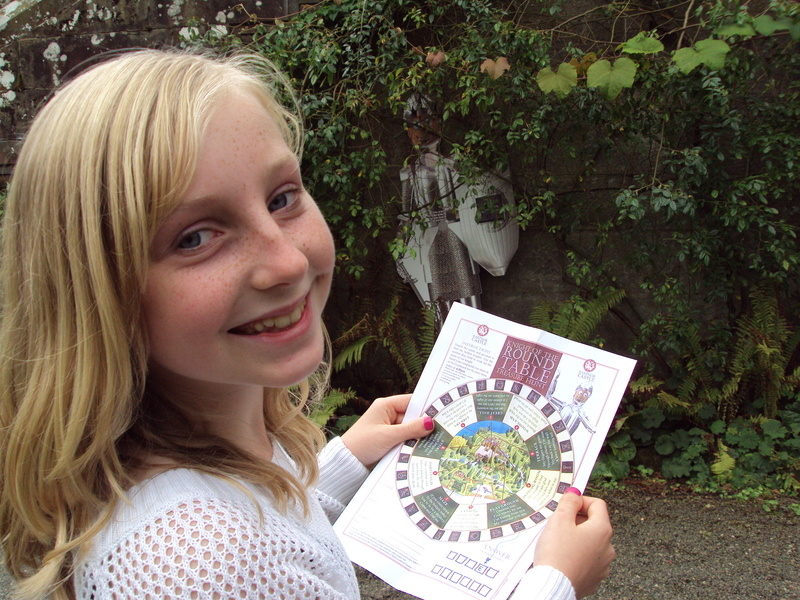 Get the clue sheets printed, including a space to collect the visitor’s information. Using a professional printer normally works out cheaper and less trouble than trying to print it yourself on a desktop printer. Two things to consider. If you are holding an event involving children, they all appreciate a little gift on completion. A grand prize that you yearn to possess would be the ultimate thing. If you are a venue, then look at the services that you could offer without any major financial outlay i.e. exclusive use for an evening, pony trekking etc. A rough guide is one person per one hundred people, with a minimum of three to account for loo breaks and surges. Firstly look at the space you’ve got available. Base your spaces on approximately three people per vehicle. Allow at least 3m width by 5m per car to calculate. Make sure you have someone pointing people in the right direction. The simplest thing to do is to get a commission based outside contractor to pay you to attend your event. If you tell them the numbers, they can give you an expected return. If you advertise that there will be food there, the take up will be much higher. For a family-based treasure hunt think family fun day/school fete: bouncy castles, pony rides, cake stalls, beat the goalie, tombola, coconut shy, darts, egg and spoon race, grand prize draw, guess the name/number, jumble sale, obstacle course, refreshments, skittles, car wash. The minimum for 1000 people (500 male and 500 female) for an event less than 6 hours is 4 Female WCs, 1 Male WC and 3 Male Urinals. Appropriate sanitary accommodation should be provided for wheelchair users. It is recommended that one WC with wash-hand basin should be provided for every 100 disabled people. You can have people dressed in the matching theme of the treasure hunt, plus face painting, a clown/magician to entertain any queues and music/musicians. Collate the information from the returned clue sheets to let the visitors know about your next event. Write a press release and send it to the publications that printed your story – it is good for them to have closure on stories. If you are thinking about holding a treasure hunt event and would like to make sure it goes smoothly and without a hitch then you know where to come: Treasure Hunt Design +44(0)7551 875604.